It was as dark as it gets when midnight rolls in; however, it was barely 7:00pm. In addition, there was a wind blowing sharp knives into our faces and a cold as bitter as a grapefruit. 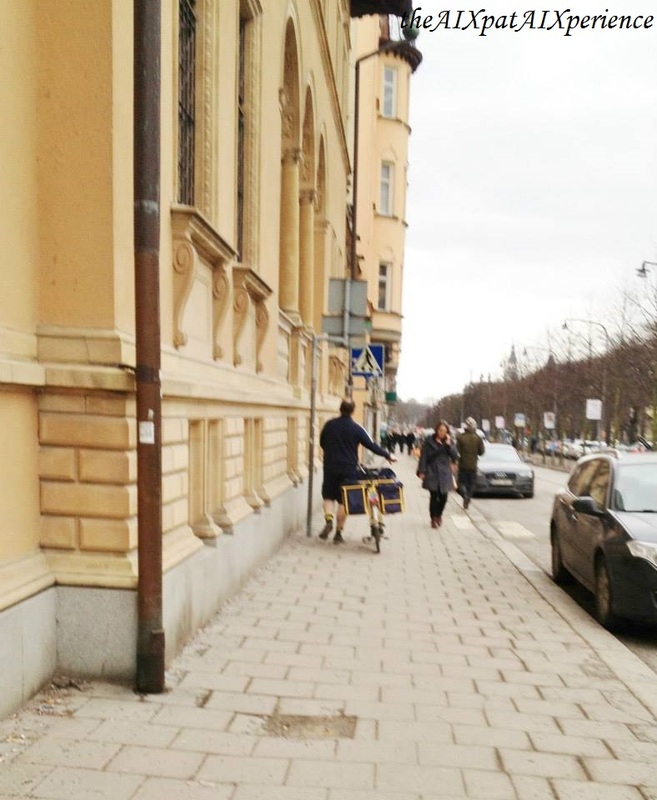 “Welcome to Stockholm,” I thought aloud. Secretly, I hoped the weather for the next 3 days would not be as miserable as this. 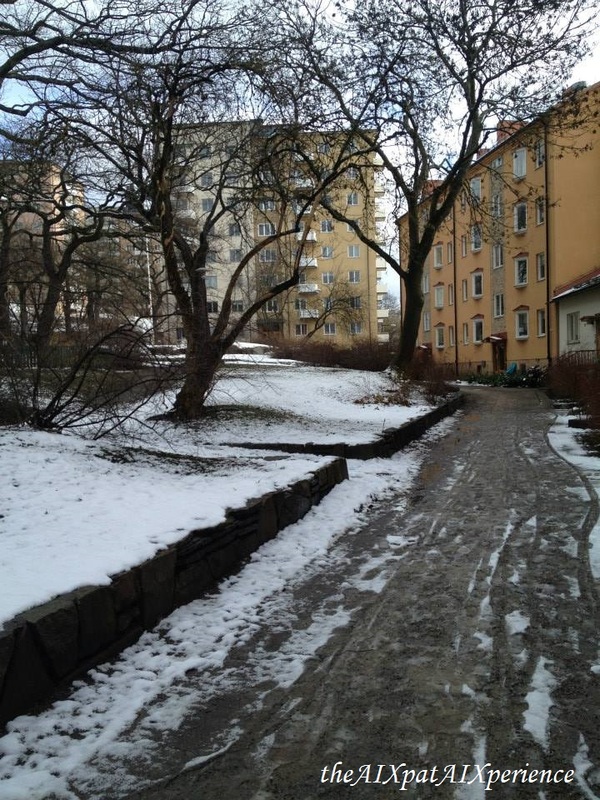 The morning of our last day in Stockholm; we noticed that it snowed over night. 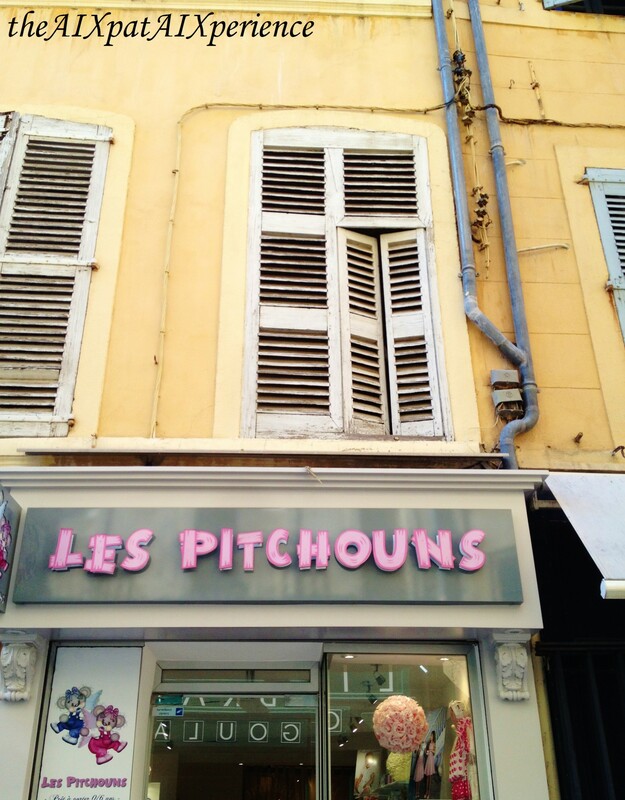 We were hungry, cold, fatigués… and lost. 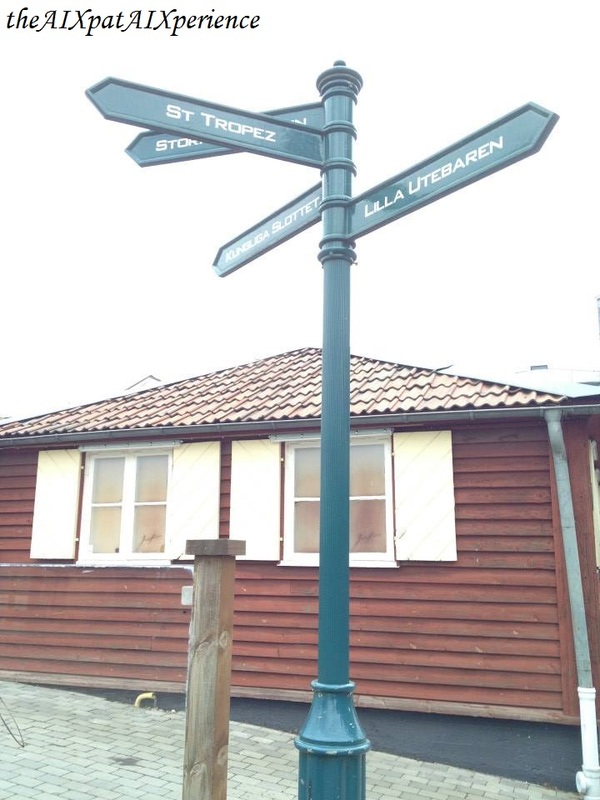 But, after finding a small restaurant that was still open (it was literally the only place open at 7pm in Stockholm), we decided to ask for directions. Neither myself nor mon chéri spoke Swedish, so, we relied heavily on English. Thankfully, there was a patron who had a working iPad with google maps (and who also spoke some English). 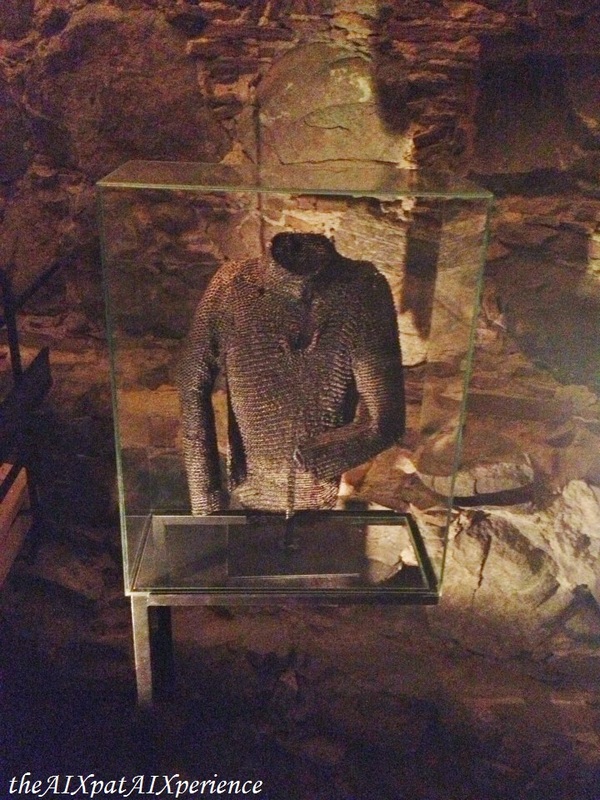 He was our “Viking” in shining armure! 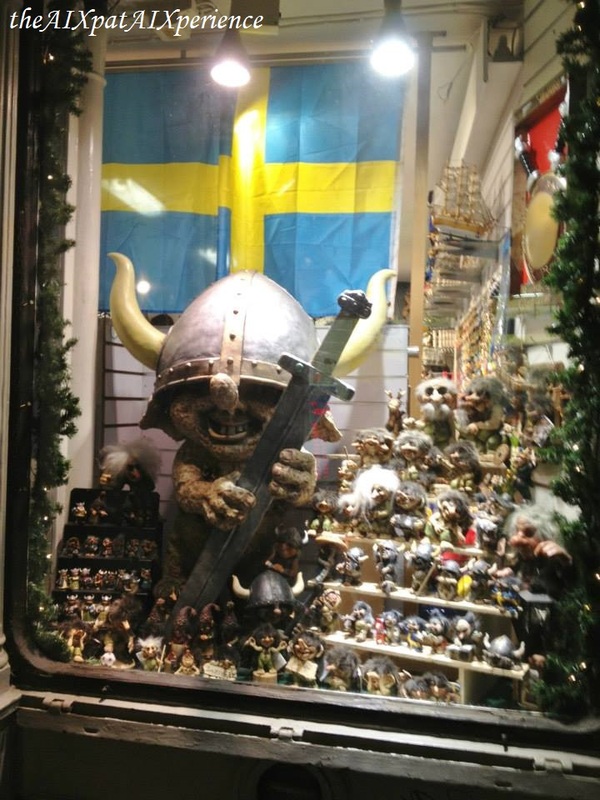 Literally, Viking paraphernalia could be found EVERYWHERE! About a 25 minute walk later, we found the appartement! 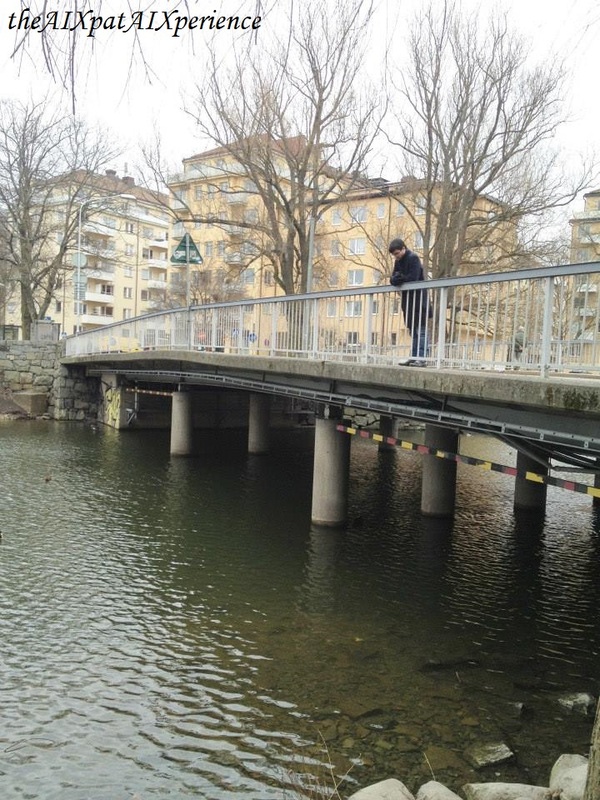 Who knew that we just needed to cross this bridge in order to reach our destination? 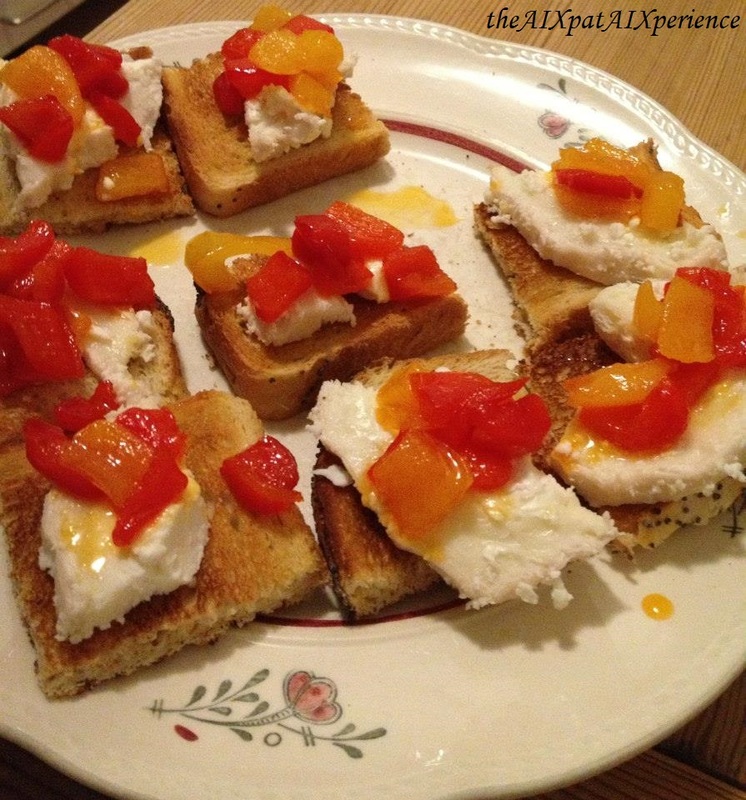 The entrée: caramelized peppers and goat cheese on toast. 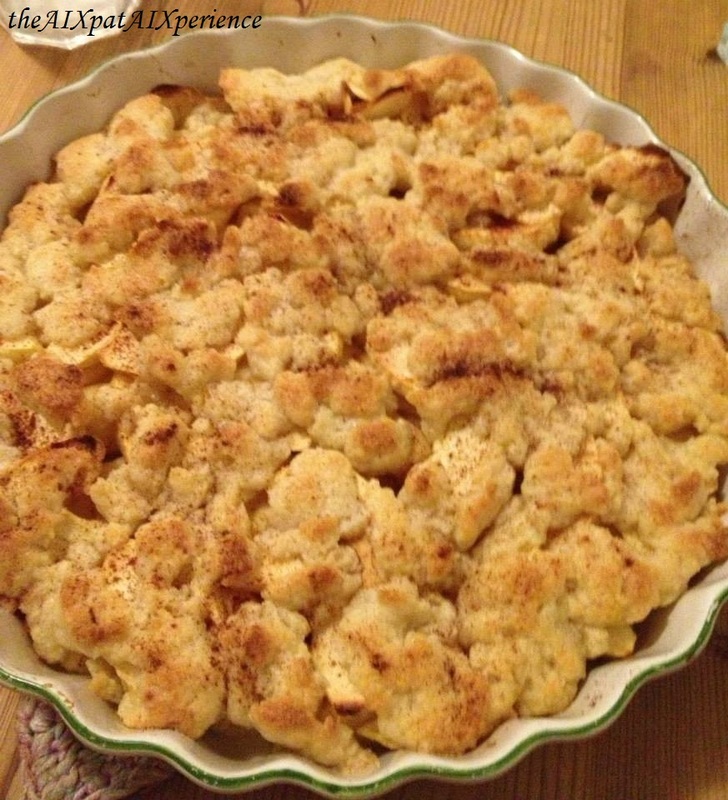 This was the first time I considered airbnb.com a great way to network (especially for teachers!). We shared several stories of our experiences in the classroom as well as our aventures travelling and using the languages we studied. It was truly an amazing connection that I never would’ve made had mon chéri and I not used airbnb. 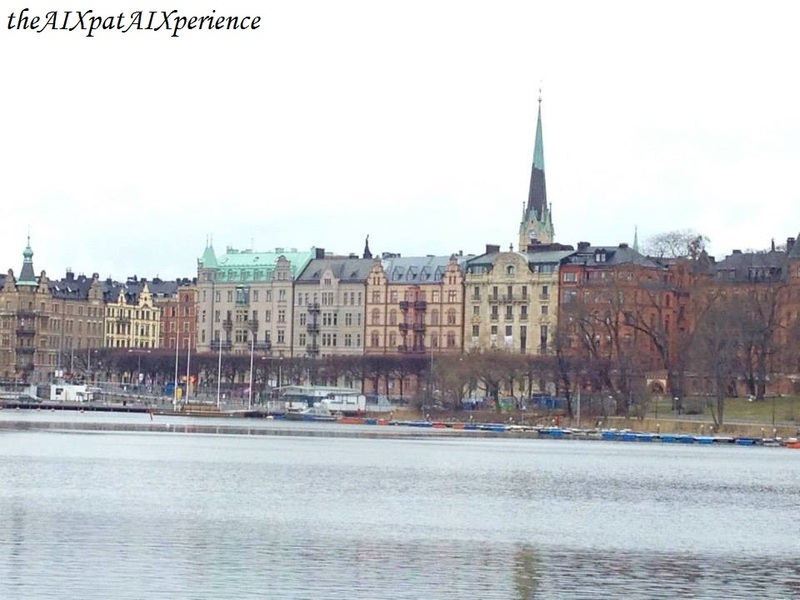 In addition to conversing with our host, we also toured Stockholm. Thankfully, there was a fully functioning métro. The métro stop at Hornstull. There’s one Swedish word I’ll never forget: “Nasta,” indicating each métro stop. 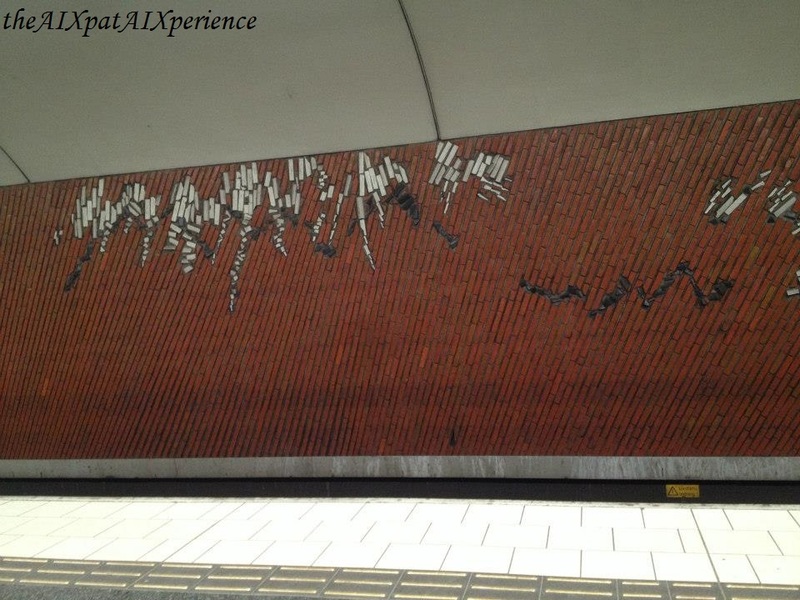 4 métro stops from Hornstull on line 14 (our favorite part – and not to mention the historical and thus touriste centre – of Stockholm), was Gamla Stan (whoop whoop whoop whoop!). Who would’ve thought that ‘Gamla Stan’ would invoke the song, ‘Gangnam Style’? At least dancing in the métro was one way to warm up. 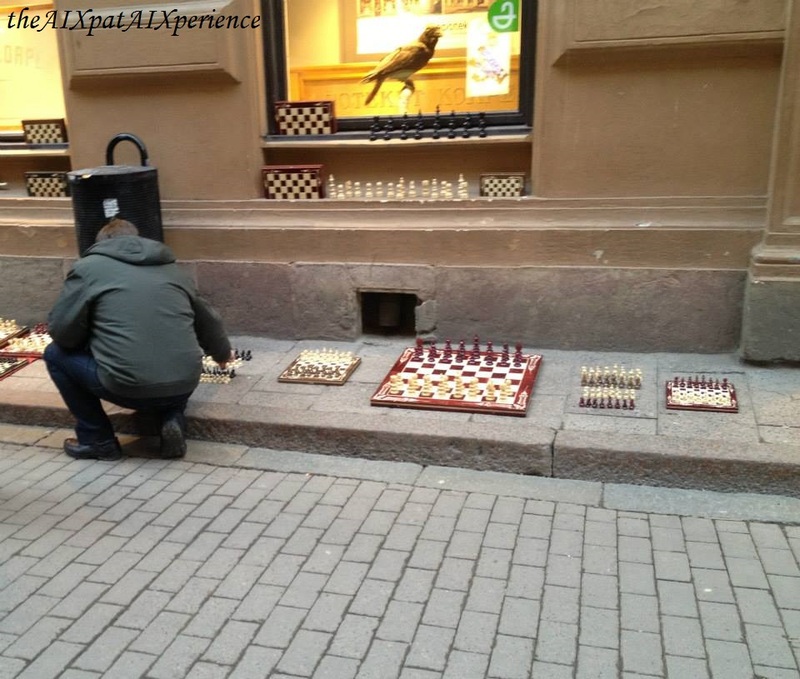 A street vendor selling handcrafted chess sets on Gamla Stan. Djurgårdens – Royal Gardens. The Royal Gardens are free. 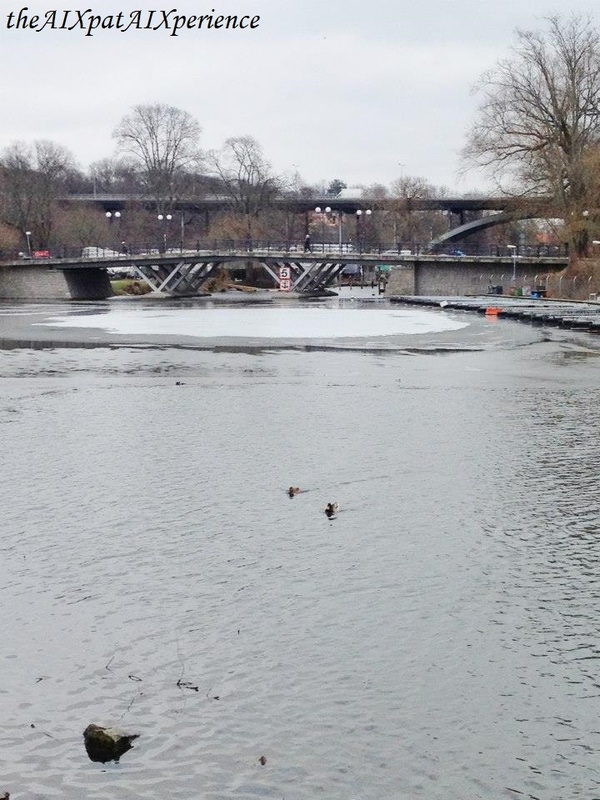 On the surface, a lovely walk in the jardins doesn’t seem very pleasant during winter; however, the Royal Gardens offer such pretty views of the architecture in Stockholm… …as well as of animal life. 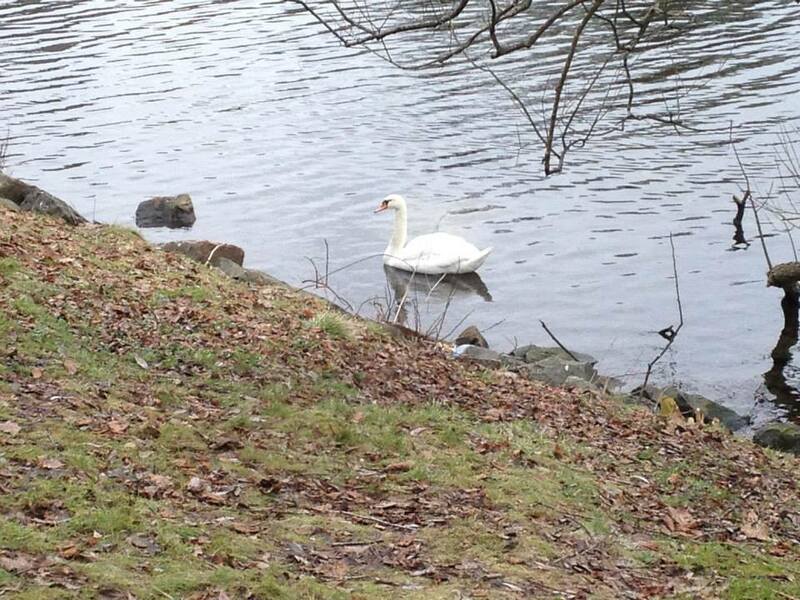 Also, we weren’t the only people to brave the cold for a calming stroll in this jardin. In fact, the local moms were all over the jardin with their poussettes, or strollers. 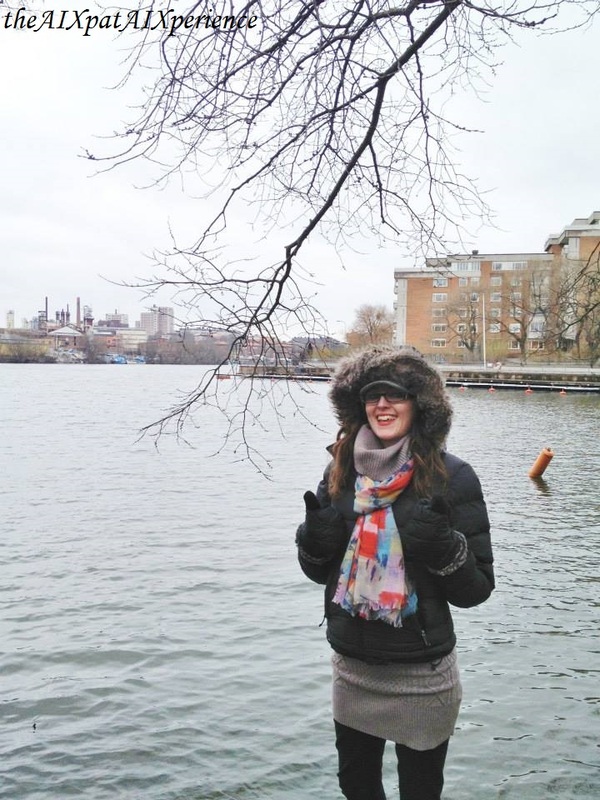 So, you’re sure to fit in with the locals while visiting this jardin in the winter! Storkykran – la cathédrale de St. Nicolas/ St. Nicolas Cathedral. 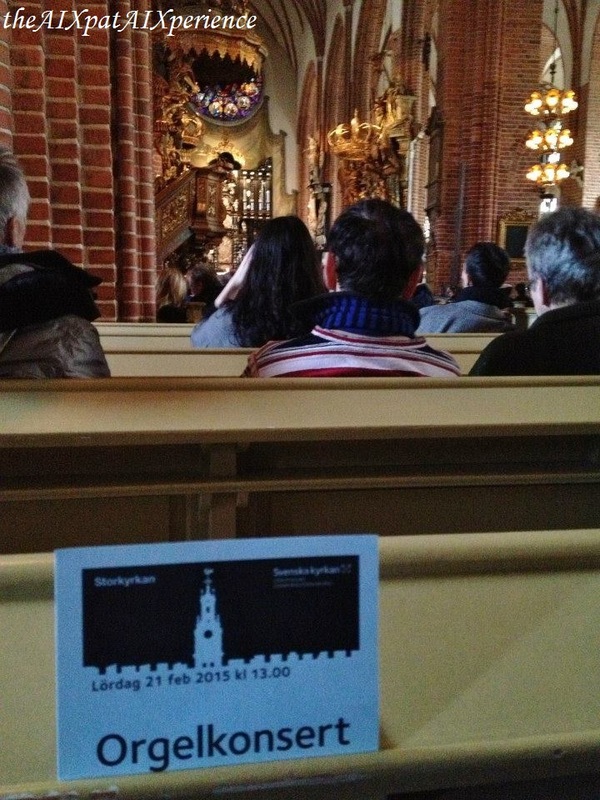 Like most churches in Stockholm, this one is free to visit. Whether or not you’re religieux, this church can still be admired architecturally and historically. 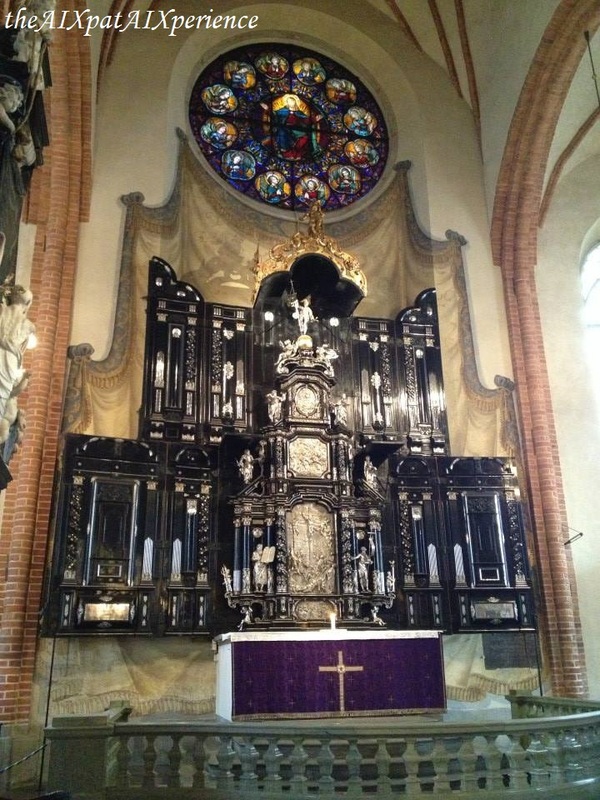 Also, you might even run into a free organ concert! What a better way to warm up than listening to an organist in a cathédral!! La garde royale/the Royal Guard. Watching the changing of the guard is free. Although this is an outdoor experience, it doesn’t last long. Also, Storkykran is right around the corner, so, there’s no reason not to take a peak at the royal guard because there’s always a place to warm up nearby. 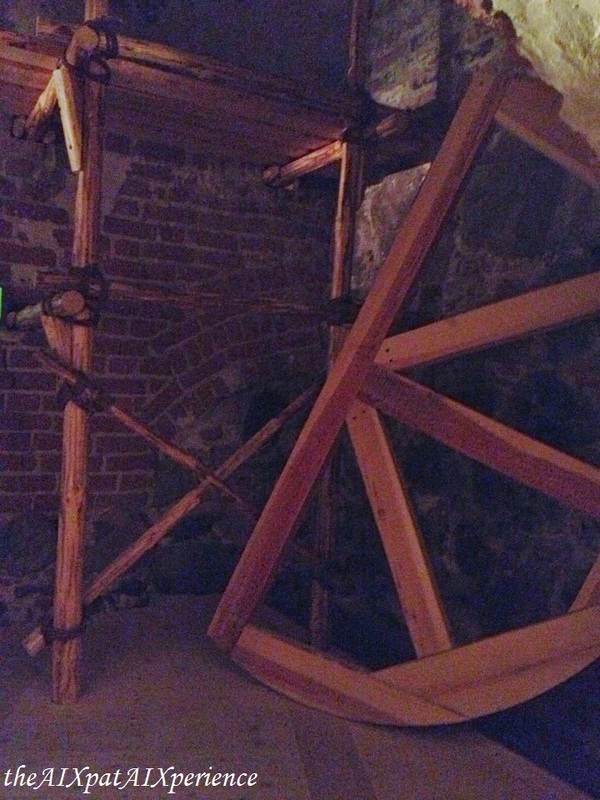 Vasa Museet – Musée de Vasa/Vasa Museum. 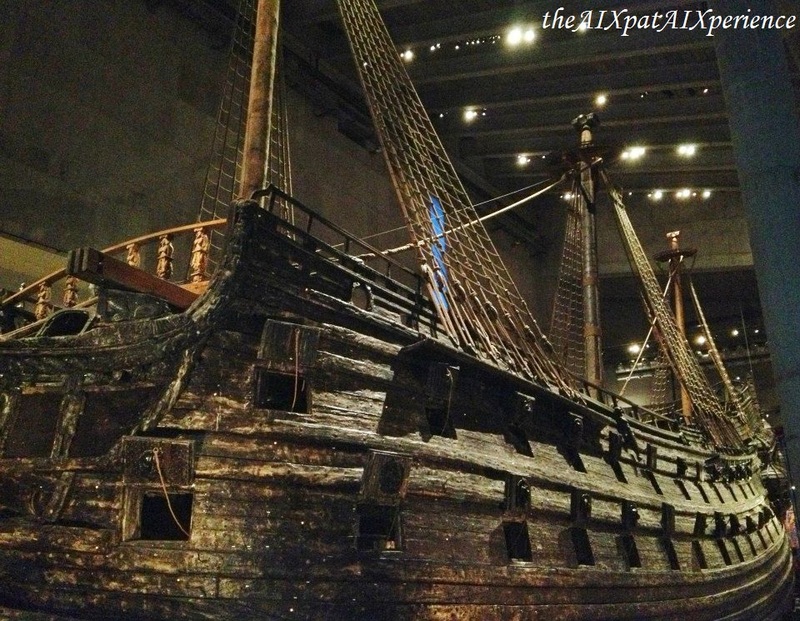 The Vasa Museum costs 130 SEK – 13.71€ ($14.93)*. The price is well worth the visit. 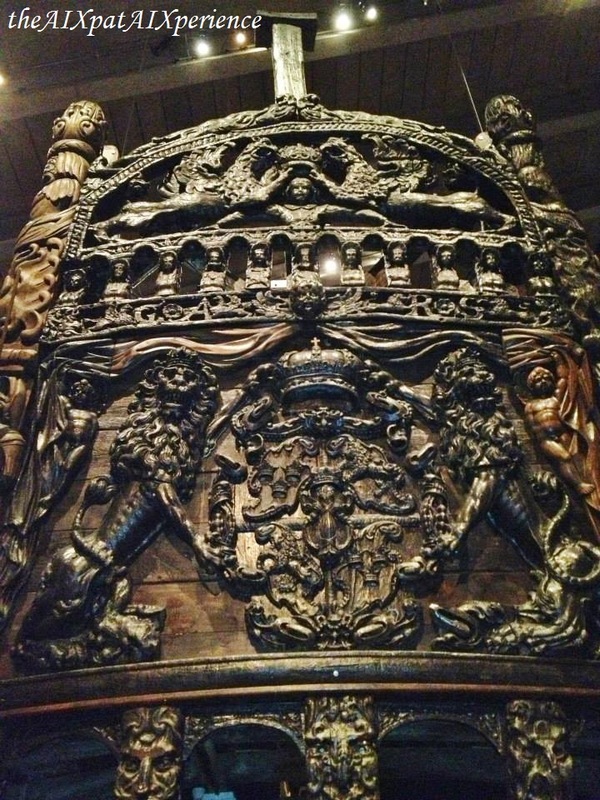 If there’s one thing to pay to see, it’s the Vasa ship! It was a magical, historical experience. I was immediately hypnotized by its grandeur. Imagining how the ship was built during its time and then learning about the ship’s reconstruction was an experience in which I’ll never forget. 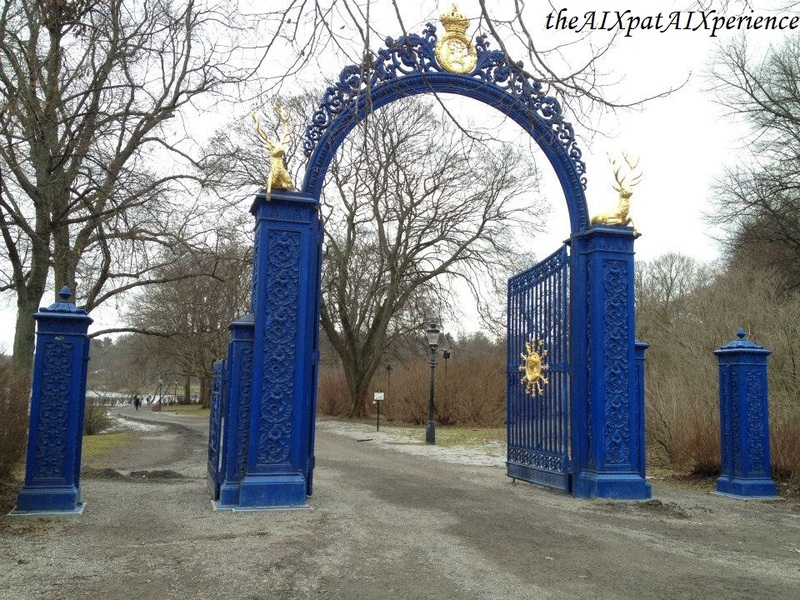 Kungliga slottet – le Palais Royale/The Royal Palace. 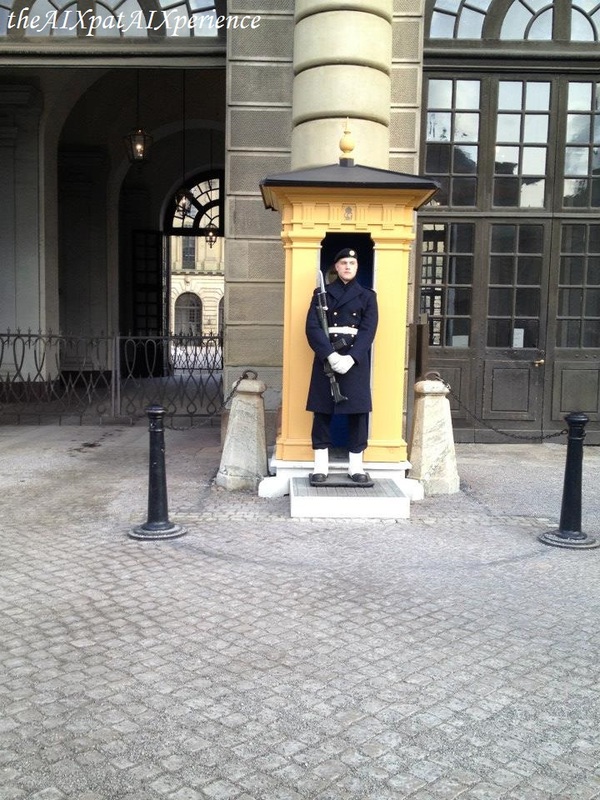 The Royal Palace costs SEK 150 – 15.82€ ($17.19)*. 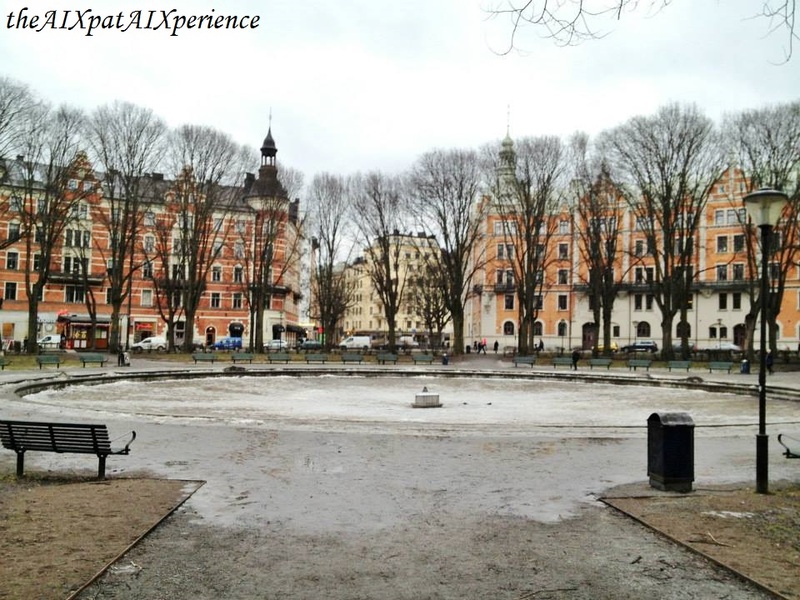 The price includes the Royal Apartments, the Treasury, and the Tre Kronor Museum. 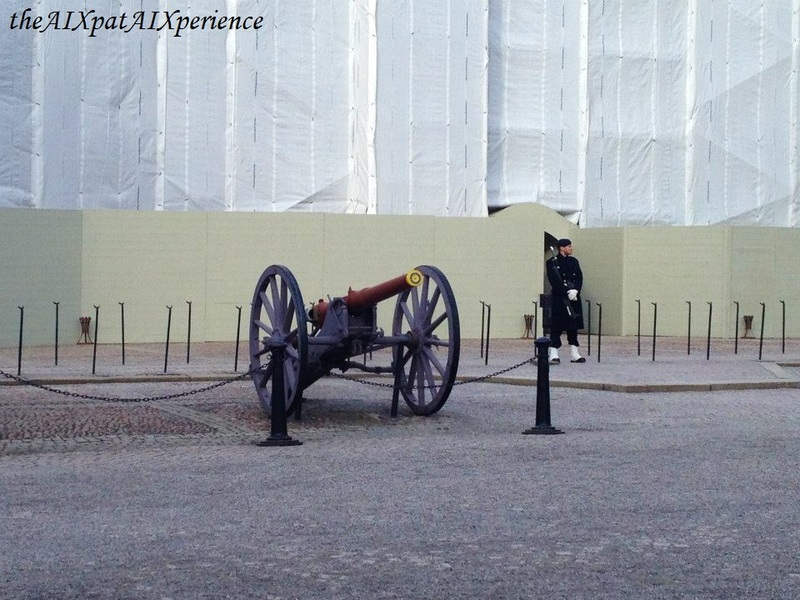 Also, the ticket gives a 50% discount to the Royal Armoury. So, you really get what you pay for. 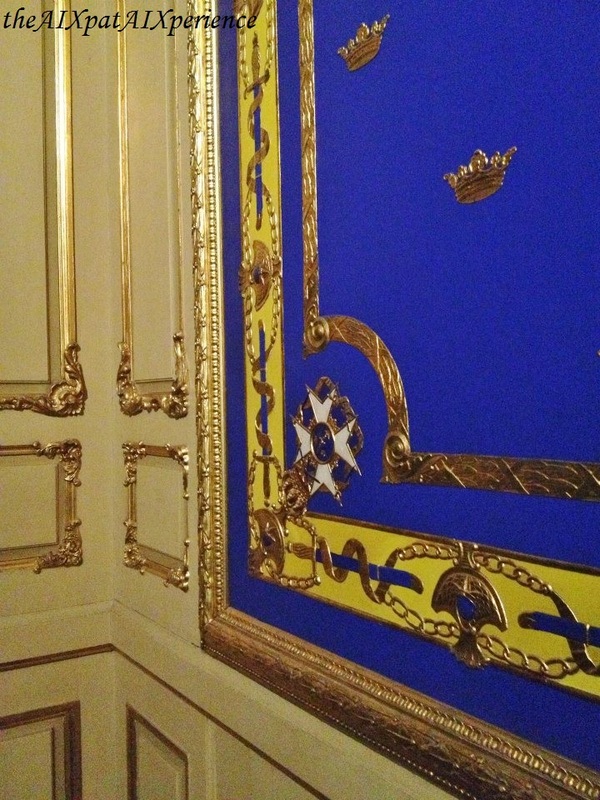 The vibrant colors of the walls were magnifique! Each room was a different color: red, yellow, green, bleu… all of them were gorgeous! 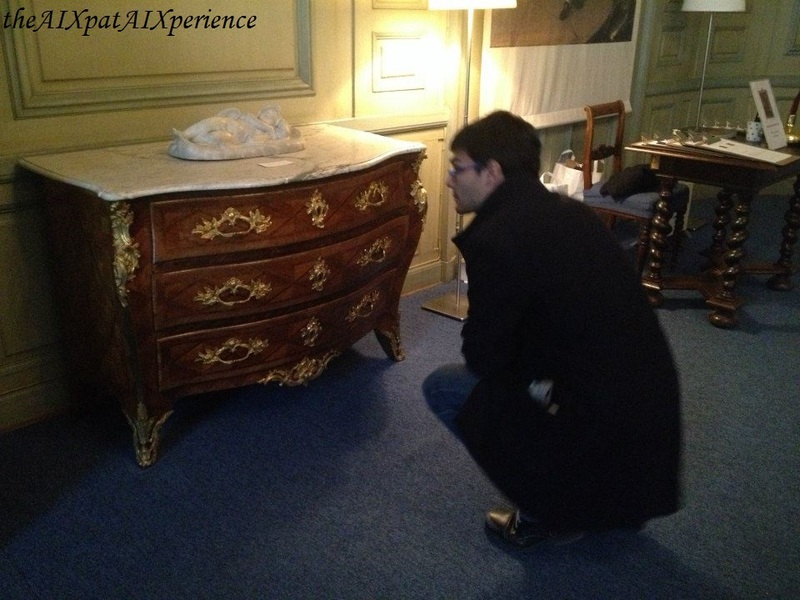 The furniture was beautifully handcrafted! 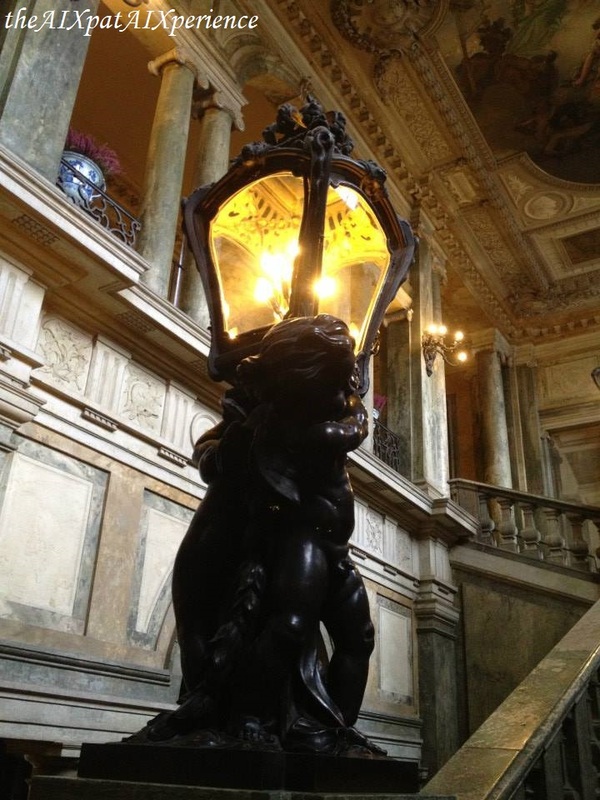 The museum offered views of what the palace was like when it was first put to use. *The conversion from SEK to Euros and US dollars is good only for August 5, 2015. Since conversion rates tend to fluctuate, it’s possible that the amount in SEK will change once converted into Euros and US dollars after August 5, 2015.